It is a gorgeous, sunny summer afternoon. I am one of some 15 riders on vintage- inspired Kawasaki Drifter motorcycles exploring the twisty backroads of Arkansas. 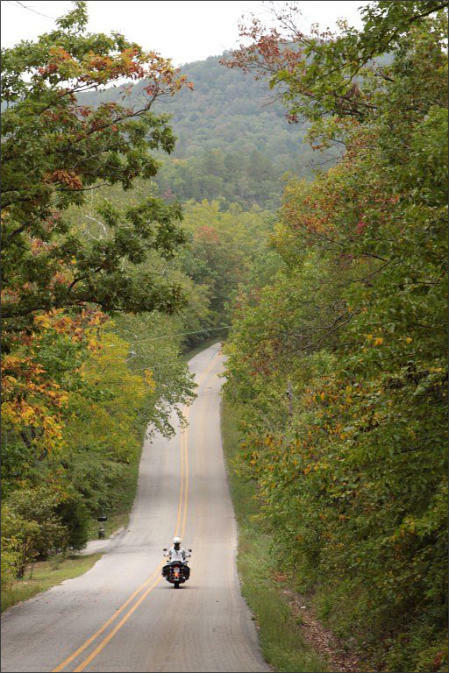 We are heading south on AR 23, better known as the Pig Trail Scenic Byway, one of “The Natural State’s” most renowned routes. It attracts riders from all over the country to explore its serpentine tarmac. The Arkansas Motorcycling Guide suggests two possible explanations for how this route got its name. The first refers to its popularity among Arkansas Razorback fans heading to nearby Fayetteville to watch college football games. 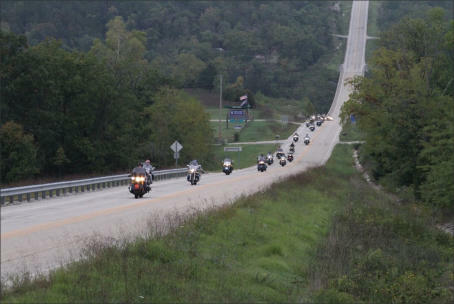 The other simply implies the route is dubbed “Pig Trail” because it is as twisty as a wild hog’s path through the woods. Whatever the case, it's fun to ride. The scenery is breathtaking. The overlook from Mulberry Mountain provides views of rolling hills and pasture lands and in some areas trees intertwine to form a canopy overhead, offering shady tunnels on this summer day. It is warming up, so we will likely stop at Turner's Bend General Store for a cold drink before heading back to our motel in Eureka Springs. I had been on this route before, but this time was different. I'm enjoying the blissful passivity of the route when a deer darts from the brush beside the road and scampers into my path! “Oh Sh!#!” I scream into my helmet. Should I brake, or gas it? Reactions take over and I reach for the brake, but there is not enough time. Bracing for the inevitable, I force my eyes to stay open and pray. I struggle to keep from being ejected over the handlebars by the impact. Is this really happening? Determined not to ditch the bike, and with every bit of strength I can muster, I somehow manage to keep it upright and ride out the wobbles before coming to a stop. Half of my front fender is gone. The deer is nowhere to be seen. The bike appears rideable, but what about me? My angels must have been watching over me, because I can’t find a single scratch. 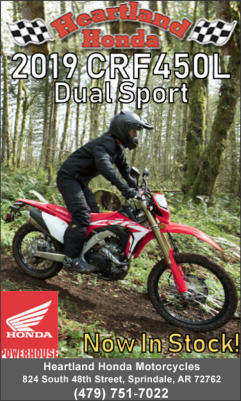 All the theory I've learned in various riding courses over the years never really prepared me for this. My friend Joe rides up from behind. “Are you okay? I saw the deer and I thought you were a goner! I don’t know how you kept that bike up.” John, my riding partner, who had disappeared around the curve with the rest of the group, rides up to ask why I stopped. I point to the broken fender. "What happened?" John asks, jumping off his bike to inspect mine. He struggles with disbelief, but the evidence is right here. "Are you alright?" he asks. How should I answer? I think I am going into shock, and I, too, am in a state of disbelief — partly that I just hit a deer and partly that I don’t seem to be injured. My heart is racing, so I take a deep breath and try to get hold of myself. Joe walks towards me. "What happened to the deer?" I ask hesitantly. "He went that way," and Joe points toward the remains. He had already checked to make sure it wasn't suffering. Death was instantaneous. The deer was eviscerated and the mess is not pretty. Fortunately most of the deer guts are on the road instead of my bike and me. I don’t have the heart to look, so I walk away as John takes my bike for a short test ride to make sure it's okay. Satisfied the frame is not bent and the bike is safe enough to ride, I mount up and follow John and Joe the short distance to Turner's Bend. I assure everyone in the group that I am fine while they check out my bike. We must be sure that the bike is okay, right? With more than 60 miles to go, I am not looking forward to the ride back to the motel. I feel terrible about killing the deer, but I continue riding my fender-less Drifter until I can secure a replacement. I will keep the broken one as a reminder of how lucky I am and how quickly things can go bad. This incident will forever change the way I ride. In fact, I feel I am a better rider because of the experience. Things could have turned out much differently if I had panicked and for that I am extremely grateful. Now when I see deer, dogs, groundhogs, squirrels or any other forms of wildlife that could potentially cross my path — I slow down well in advance. My reactions are more deliberate. My experience is more complete. A friend recently dubbed me the "deer whisperer" after seeing a photo I shared of a deer on my Facebook page. I am an animal lover. 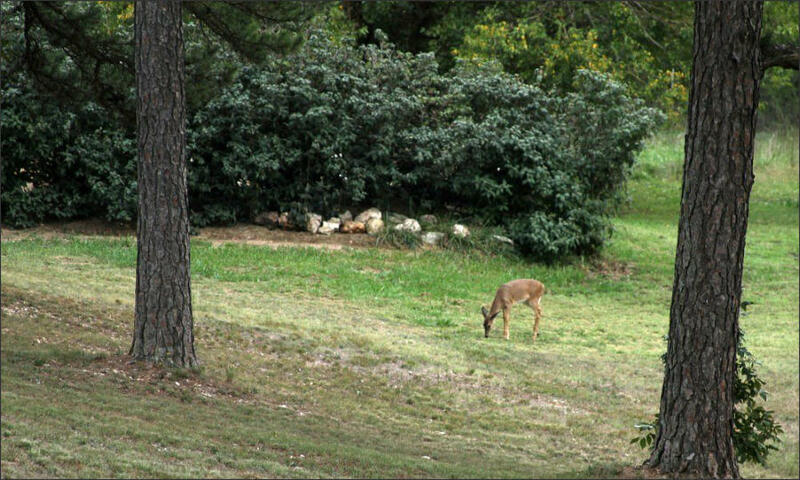 I live in a heavily wooded area in rural Arkansas, so it is not uncommon for deer to roam my property while grazing. They are such beautiful creatures and I take pleasure watching them in their element. Occasionally, I will even leave treats for them to enjoy. Perhaps, subconsciously, I'm trying to make amends for striking the deer on Pig Trail. It is a gorgeous, sunny summer afternoon. 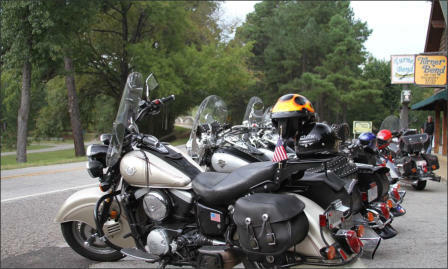 I am one of some 15 riders on vintage-inspired Kawasaki Drifter motorcycles exploring the twisty backroads of Arkansas. We are heading south on AR 23, better known as the Pig Trail Scenic Byway, one of “The Natural State’s” most renowned routes. It attracts riders from all over the country to explore its serpentine tarmac. 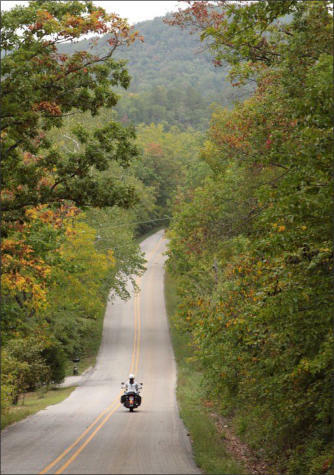 The Arkansas Motorcycling Guide suggests two possible explanations for how this route got its name. The first refers to its popularity among Arkansas Razorback fans heading to nearby Fayetteville to watch college football games. The other simply implies the route is dubbed “Pig Trail” because it is as twisty as a wild hog’s path through the woods. Whatever the case, it's fun to ride. The scenery is breathtaking. The overlook from Mulberry Mountain provides views of rolling hills and pasture lands and in some areas trees intertwine to form a canopy overhead, offering shady tunnels on this summer day. It is warming up, so we will likely stop at Turner's Bend General Store for a cold drink before heading back to our motel in Eureka Springs.